I’m guessing that if you’re reading this article, you struggle sometimes with word processing tasks: opening a file, compressing a bunch of files for sending, inserting tables and graphics, etc. That’s why I’ll try to guide you through the peculiarities of several software products which you will definitely need. First, and the most painful for our Support Department, are file compression tools. These make sending large amounts of data (more than 2-3 files) much faster and easier. 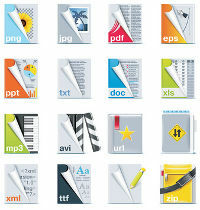 The most widely used ones are WinRaR and WinZip. They offer free trial downloads for a period of several weeks. After the 30 day trial period (which could be more, or less) you can try uninstalling the software, but you will have to pay for it. Perhaps you can afford to purchase a license. “Free” versions often include a toolbar and other add-ons you might/might not welcome. The installation package consumes only 4-5 Mbs and is easy to install. Sometimes, it takes less than a second for the program to be installed, and the software is automatically filed in your system folder. This means many of you folks cannot even verify completed installation.